Relive The Magnificent ULTRA Europe Experience! Aftermovie & 2018 Tickets Out Now! ULTRA South Africa Unveils Armin Van Buuren & Hardwell As Headliners For 2018! Ultra Unveils Epic Fifth Anniversary ‘Memories’ Video And Announces Dates For Next Edition! Afrojack Saves Hardwell After Plane Has to Make Sudden Landing! 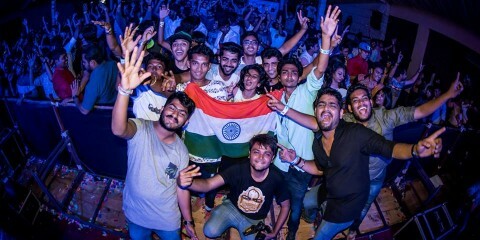 BREAKING: The Chainsmokers, Slushii & More, To Perform At Inaugural Road To Ultra: India Edition!